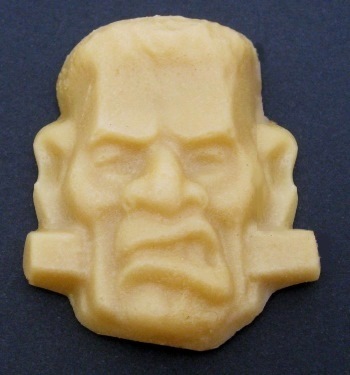 This large, scary Halloween pure maple sugar candy shape is simply the coolest candy you'll find online. So far virtually everyone who has seen this new candy, introduced in 2011, loves it and wants to order some for their Halloween party. The candy is like nothing you'll find in stores. Now all you need is a Frankenstein video and your evening will be a blast! Made from 100% pure & natural Vermont maple syrup, produced by rural Northern Vermont maple sugarhouses. 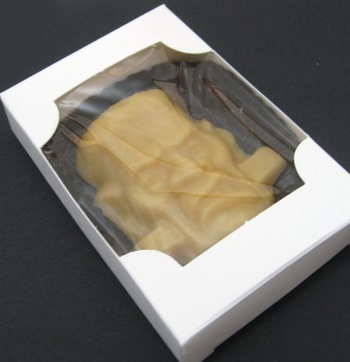 Quick Delivery - Order one or two Frankenstein Maple Sugar Candies and shipping is just $5.95 Priority Mail!